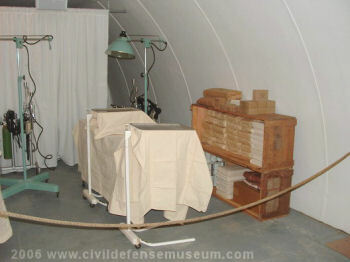 The Civil Defense PDH was to have 3 surgery stations. I found 3 almost fully intact Foregger anesthesia apparatus with the McKinney PDH remains. 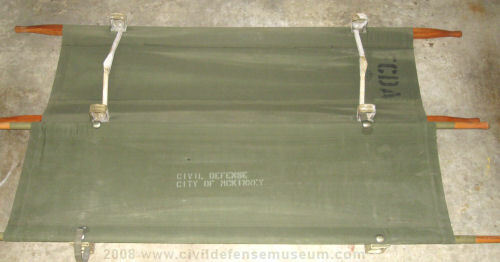 The apparatus had been pulled out of their crates. I was able to assemble 2 complete units and one incomplete apparatus from what was remaining. 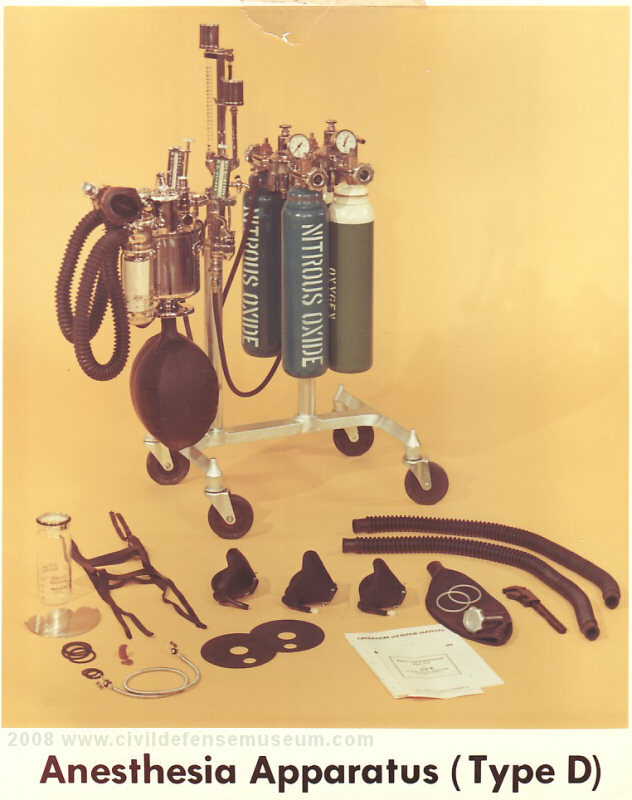 These apparatus were set up to use oxygen and nitrous oxide as well as ether. This picture is of one of the complete apparatus that I was able to put together. 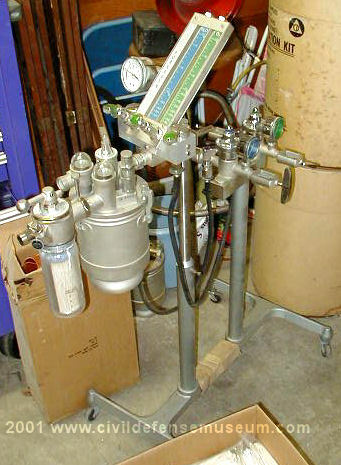 The glass device on the left is the ether vaporizer assembly. The breathing hoses and mask were still packed and I didn't open them so they aren't in the picture. These machines were eventually donated to a group that does army field hospital reenactments. 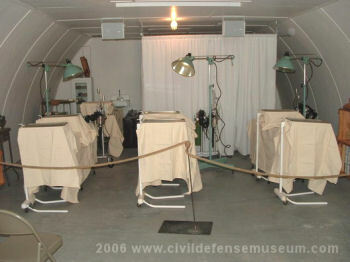 The group sets up a complete WWII type army field hospital and demonstrate field hospital procedures at community events. I wish I would have taken a better photo of this thing at the time. I had my old digital camera set to it's low setting and this apparatus was kind of buried in the pile in my garage at the time I took this photo. 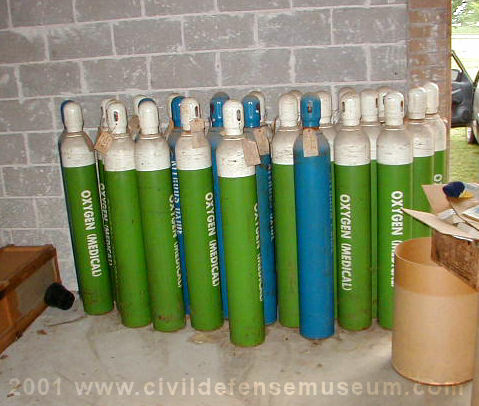 The oxygen and nitrous tanks for the anesthesia machines were still there at the time I cleaned the McKinney stuff out. I tried a few of them and they were empty though all were in good condition as far as I could see. All of the tanks had these "Civil Defense" labels cast into the top of the tank. 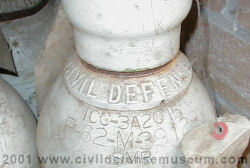 The right photo above is one of the oxygen tanks. The above left photo shows a surgical station setup for a Model 62 PDH. At the right in the photo is a Foregger anesthesia machine with a nitrous and oxygen tank hooked up. 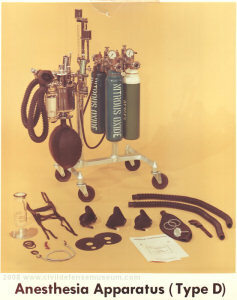 The right photo above shows the type of anesthesia apparatus used with the earlier Model 53-57 PDHs. It looks very similar to the later unit but it uses the smaller oxygen and nitrous tanks. The McKinney PDH had very few remaining surgical station pieces remaining. 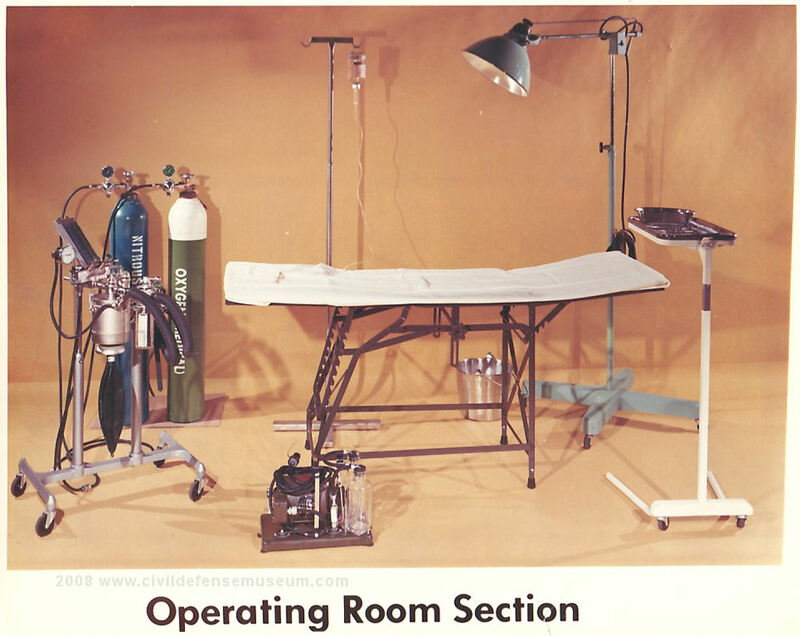 The PDH stock in Gainesville, Texas still had surgical tables, lamps, anesthesia apparatus and some other items. 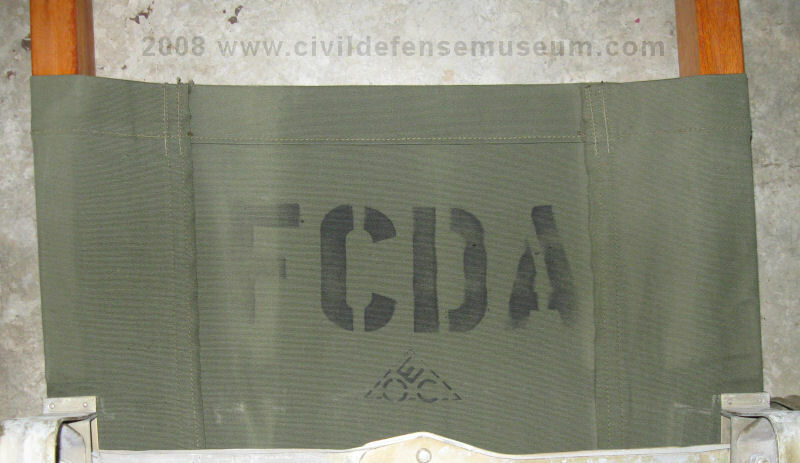 These were salvaged by the National Museum Of The Pacific War in Fredericksburg Texas for a field hospital display which I belive has long since been removed. See photos below.